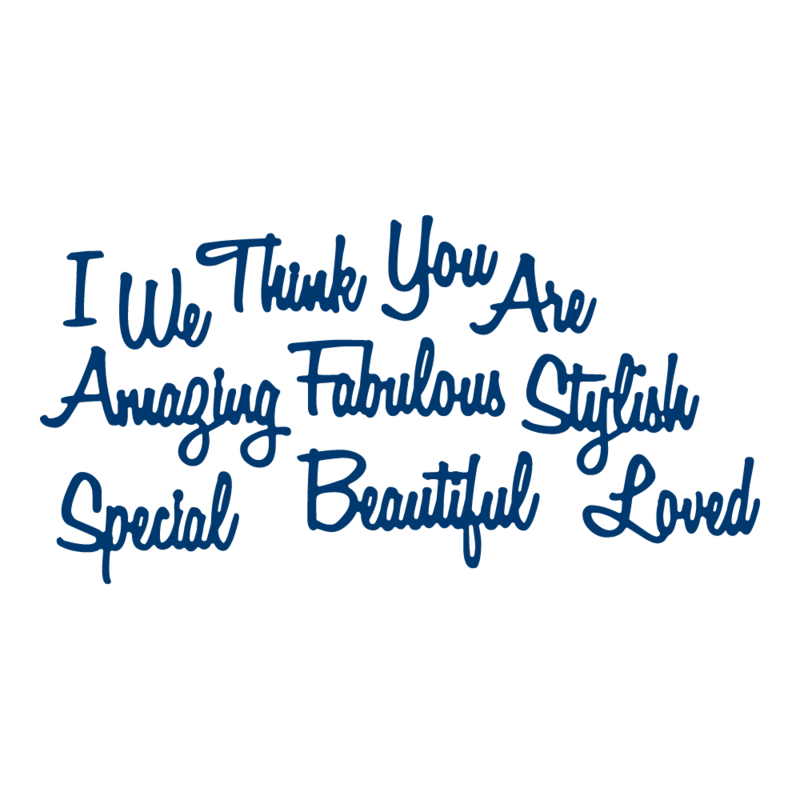 Tattered Lace Style Sentiments is a die set of words that can be used as a range of sentiments including ‘I’, ‘We’, ‘Think’, ‘You’, ‘Amazing’, ‘Fabulous’, ‘Stylish’, ‘Special’, ‘Beautiful’, ‘Loved’. Mix and match the dies to create the perfect sentiment for that extra special project. The words can be used to suit many different occasions throughout the year including Birthdays, Thank You, Congratulations and more. These dies give you the freedom to create your own messages and personalise your project they are written in a beautiful fancy script to add an extra luxurious finish. Each word measures approx 1.6cm tall. This product is part of the Country Manor Collection.